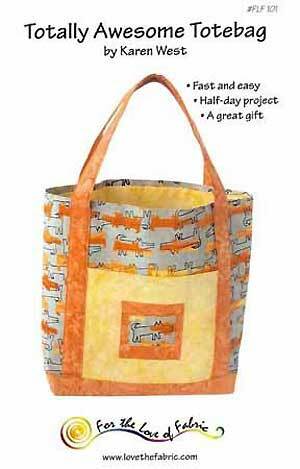 The Totally Awesome Tote Bag Pattern by Karen West is an easy to make tote which can be made in half a day! 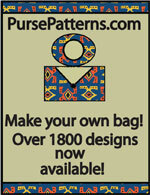 There are double handles and a large outer pocket. 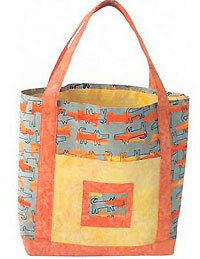 The Totally Awesome Tote Bag by Karen West (For the Love of Fabric) is is an easy to make tote bag pattern which can be adapted to any size. There are instructions for large outer and inner pockets and can be used for traveling also. The bottom and handles are reinforced and this bag is fully lined. Finished size is 14 inches H x 17 inches W and can be completed in only half a day. 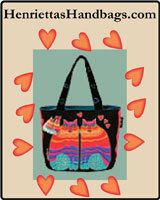 The Totally Awesome Tote Bag Pattern is in PDF and has a total of 5 pages. There is 1 cover photo page and 4 pages of instructions and illustrations.